Wow. I found this on another website someplace and thought my kids would really enjoy this when they had some extra time. Boy, did they! I put it up on my promethean board, and we had instant entertainment. The "Art Pad" looks like a great activity for kids on the net. 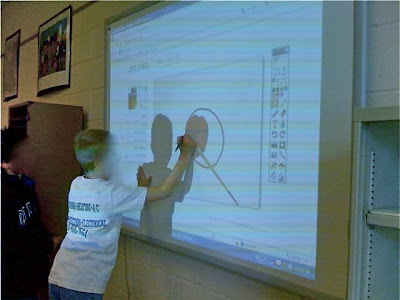 I really like how you utilized your digital white board so that the whole class could participate. What do you think of the Promethean digital board?